Eagle eyed readers will know that Pre-Sequel was released for Shield TV earlier this year. The port brought just about everything from the console/PC version to the set top device, complete with moderately limited co-op. 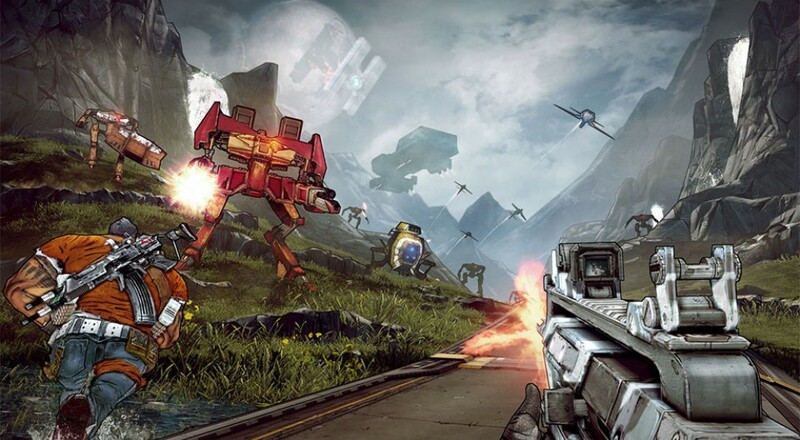 Borderlands 2 will get the same treatment, and even though Nvidia didn't specifically say "it'll have co-op", we're assuming that's a given. Bringing both games to the Shield Tablet requires a bit more work, as it packs a little less oomph than its TV-tethered brother. No word on if or how co-op would work on a handheld device, but we're guessing two player local is the best we can hope for. Ages ago, Nvidia promised a thriving array of console quality games for its powerful Shield gaming devices. So far, that promise hasn't really panned out, though bringing Borderlands 2 to an Android tablet is definitely a step in the right direction. Release dates weren't announced for the new ports, but we're definitely keeping a few ears to the ground. Page created in 0.3798 seconds.